Every piece in the Belle de Nuit collection has been designed by the company’s in-house team in Valencia and are hand-crafted and hand-painted. The full catalogue includes series of hanging, wall and table top lamp in different sizes. 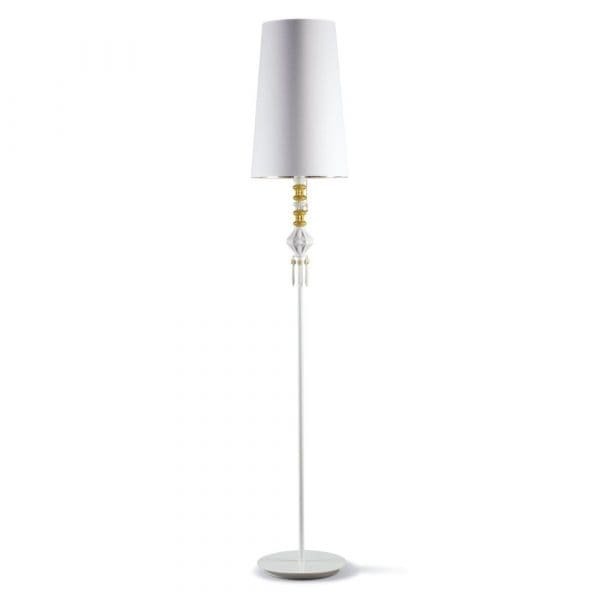 This Lladro porcelain floor lamp features an extremely refined white silhouette with a very essential shade which is lined with gold so as to better reflect the light. The gold details enrich the white column together with the surrounding pendants. The floor lamp is an ideal alternative, contemporary and stylish way to light your home in a stunning fashion. 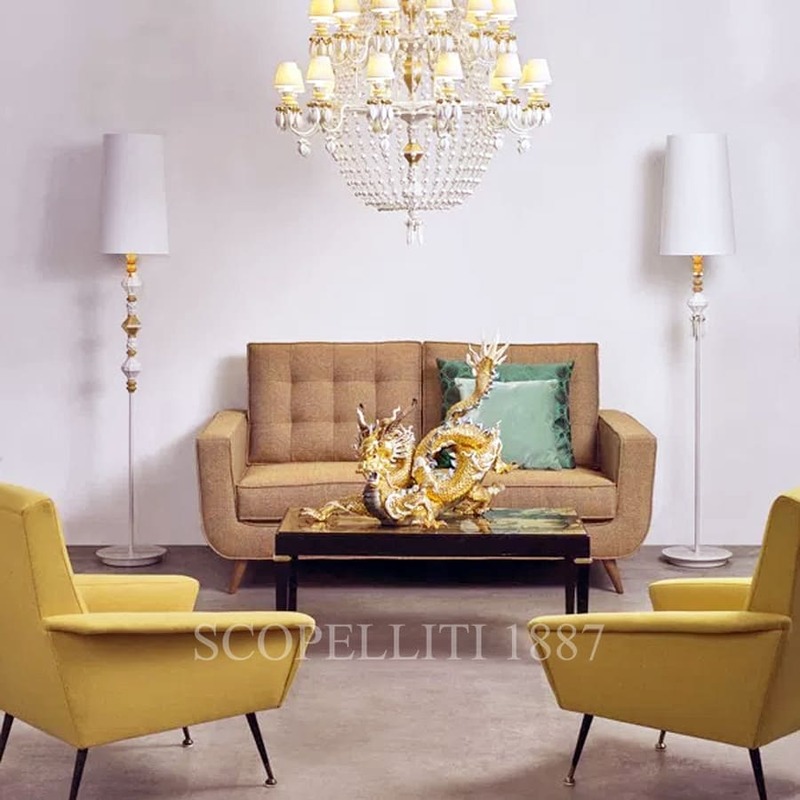 Compra adesso il prodotto ed ottieni 1100 Crediti! Buy now and earn 1100 Points!